After severe hail damaged all 35 condo roofs at the Catawba Shores lakeside community in 2012, the homeowners association vowed not to let costly storm damage impact their homes again. Bellaforté Shake composite roofing tiles have a multi-width appearance replicating hand-split real cedar shakes. The tiles feature slanted sawn edges and staggered lengths. 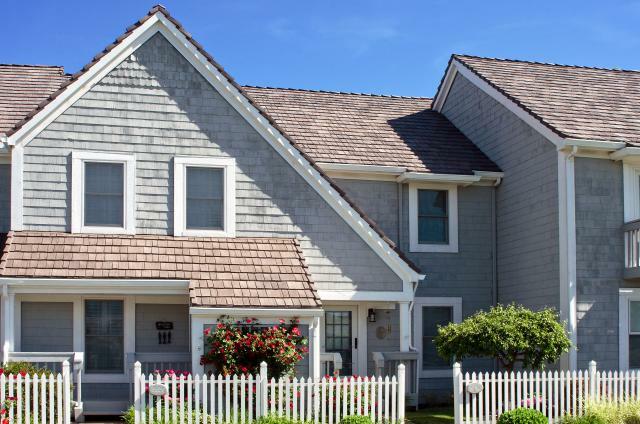 The 12-inch Bellaforté Shake tiles feature multiple profiles that enable roofing contractors to create a staggered appearance that simulates a natural rough hewn wood shake roof. Just as with other DaVinci luxury roof products, the Bellaforté Shake lightweight tiles are 100 percent recyclable and come with a 50-year limited warranty. See Bellaforté Shake Tiles Generate Four Times More Sales than Anticipated for more great news on Bellaforté Shake products!